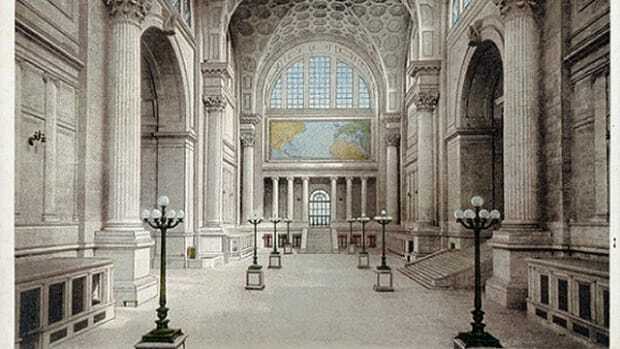 People like me who are advocating for rebuilding McKim’s original Penn Station are often met with hoots of derision from the Modernists. Barbs such as “fake architecture” and “Disneyland” are hurled at the very idea. But few realize that reconstruction of lost historic landmarks is part of a long architectural and cultural tradition. 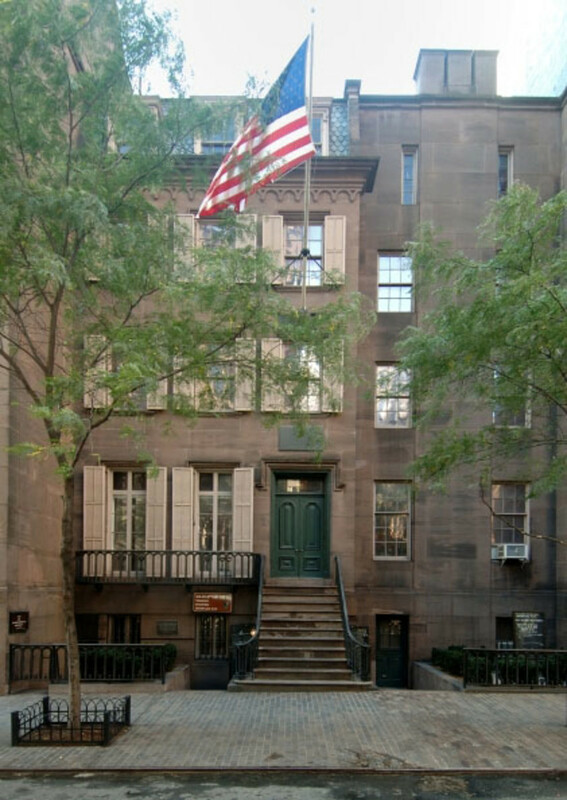 For example, Manhattan already has a rebuilt landmark on East 20 St. – the Theodore Roosevelt Birthplace – that is operated as a museum by the National Park Service. The original brownstone rowhouse where TR was born was demolished in 1916 – but it was totally rebuilt on the same location in 1923 as a memorial to our 26 president. The National Park Service treats this rebuilt landmark with same respect and seriousness that would be accorded the original house. 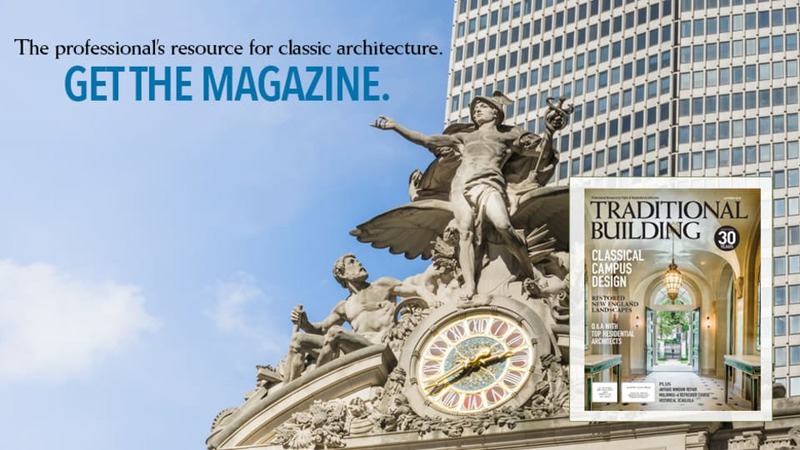 Loth’s presentation documents the stories of the many rebuilt landmarks in North America and Europe – and the rationale for these reconstructions. 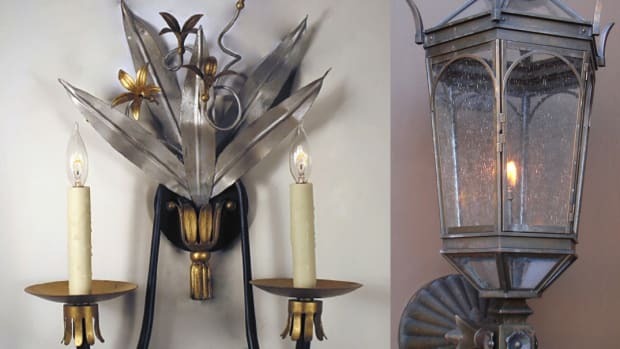 In the U.S., these rebuilt landmarks include the McLean House, Appomattox, VA, (run by the National Park Service), Dartmouth Hall, Hanover, NH, the Governor’s Palace, Williamsburg, VA, the Mormon Nauvoo Temple, Nauvoo, IL, and the Greenwood Plantation House in Louisiana. Loth also describes more than a dozen major landmark reconstructions in Europe, including Warsaw’s Old Town Market Square. Of all the architectural rebuilding that Calder Loth details, probably the most significant is the story of the Berlin City Palace – significant because it is a huge project (about $700 million) and one that is currently under way. The Berlin City Palace was the traditional home of the kings of Prussia and the emperors of Germany. The palace was damaged during World War II, but enough was left so that it could have been restored. However, as a political statement the East German regime elected to demolish the remains of the old palace and erect a Modernist parliament building in the same location. The original Berlin palace of Hohenzollern royalty was demolished by the East German regime in the 1950s. The historic exterior is now being rebuilt as a cultural landmark; the new interior will function as a combined museum and event space. After German reunification, there was a question about what to do with the defunct parliament building. After a lengthy debate, it was decided to reconstruct the exterior of the old palace as a way to restore cultural memory. (Of course, Modernists registered loud dissent!) When complete, the new complex will be called the Humboldt-Forum; the interior will serve as a combination of museum and a venue for cultural events. To enable the public to keep track of construction progress (scheduled to be completed in 2019), project managers have installed a webcam that gives you a daily birds-eye view of the construction site. 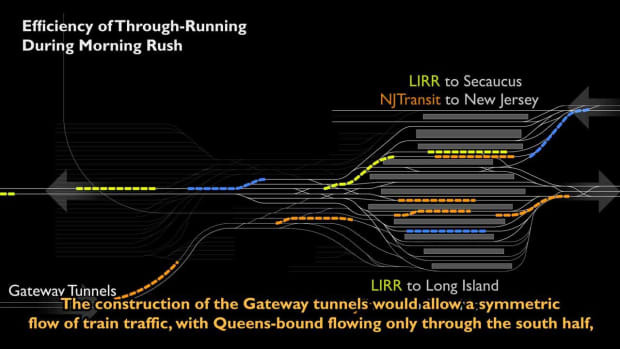 So anyone – like me – who believes that rebuilding Penn Station would be a cultural, civic, and aesthetic gift to our nation, is now armed with additional ammunition. Calder Loth’s lecture provides the intellectual and historical basis for reconstructing lost architecture – and also shows that such projects garner overwhelming public acclaim. 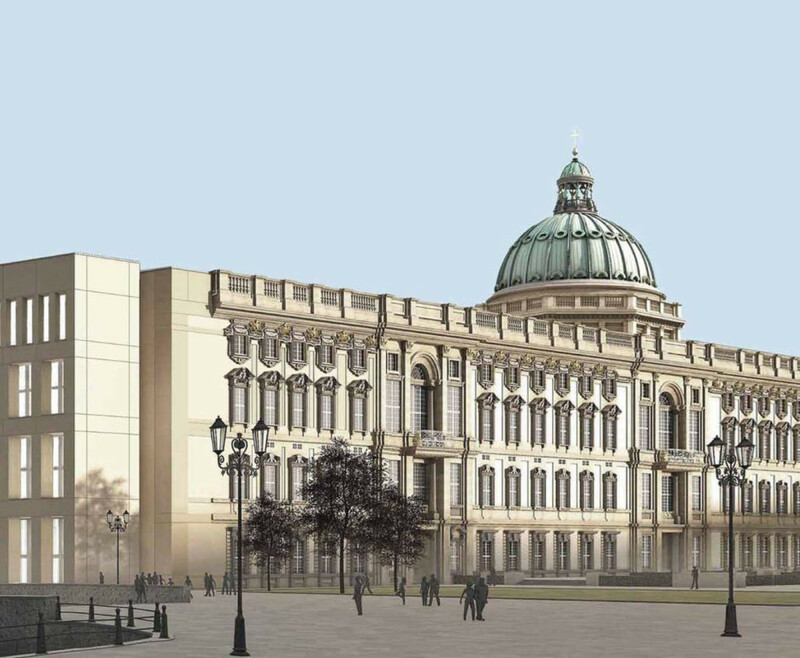 In addition, the Berlin City Palace project demonstrates that major historic reconstructions can happen today! 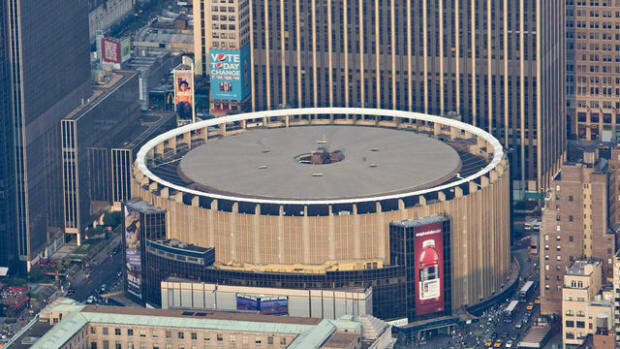 To Transform Penn Station, Madison Square Garden Must Move!